Are Christians supposed to keep the Ten Commandments? Are Christians supposed to keep the Sabbath? Are Christians free from the laws of the Old Testament? Taken from Arnold Fruchtenbaum’s study at Ariel Ministries, I feel that this is the best argument concerning how we interact with the Ten Commandments in light of Scripture. Even though this posts series was aimed at the Jewish believer, it is relevant to any believer. I have noticed that many, included myself at one time, did and do not quite understand Paul’s teachings. I think this argument helps clear up some of them quite well. This is the third final part of the three part series that addresses the above questions. Please enjoy! The Law of Moses has been done away with, and we are now under a new law. This new law is called the Law of Christ in Galatians 6:2, and the Law of the Spirit of Life in Romans 8:2. This is a brand new law totally separate from the Law of Moses. The Law of Christ contains all the commandments applicable to a New Testament believer. The reason there is so much confusion over the relationship of the Law of Moses and the Law of Christ is that the two have many similar commandments, prompting many to conclude that certain sections of the Law have, therefore, been retained. But we have already shown that this cannot be so, and the explanation for the sameness of the commandments is to be found elsewhere. First, we must realize that there are a number of covenants in the Bible, including the Edenic, Adamic, Noahic, Mosaic, and New. A new covenant will always contain some of the same commandments as the previous covenant, but this does not mean that the previous covenant is still in effect. 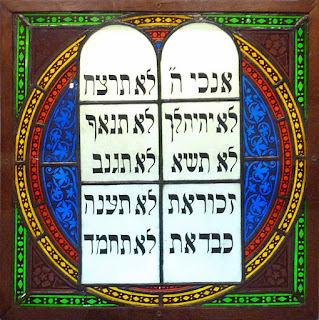 While certain commandments of the Adamic Covenant were also part of the earlier Edenic Covenant, it does not mean that the Edenic Covenant was still partially in force; on the contrary, it ceased to function with the Fall of man. The same is true when we compare the Law of Moses and the Law of Christ. There are many similar commandments. For example, nine of the Ten Commandments are to be found in the Law of Christ, but this does not mean that the Law of Moses is still in force. Let me illustrate this by using an example which you may have also experienced. I received my first driver’s license in the State of California; as long as I drove in California, I was subject to the traffic laws of that state. But two years later, I moved to New York. Once I left California, I ceased to be under California’s traffic laws. The traffic laws of that state were rendered inoperative in my case. Now my driving was subject to a new law – the traffic laws of the State of New York. There were many laws that were different: In California, I was permitted to make a right turn at a red light after stopping and yielding the right-of-way. But in New York this was not permitted. On the other hand, there were many similar laws between the two states, such as the edict to stop at red lights. However, when I stopped for a red light in New York, I did not do so in obedience to the State of California as I once had, but in obedience to the State of New York. Likewise, if I went through a red light without stopping, I was not guilty of breaking California law but New York law. Many laws were similar, but they were, nevertheless, under two distinctly different systems. The Law of Moses has been nullified, and we are now under the Law of Christ. There are many different commandments: The Law of Moses did not permit one to eat pork, but the Law of Christ does. 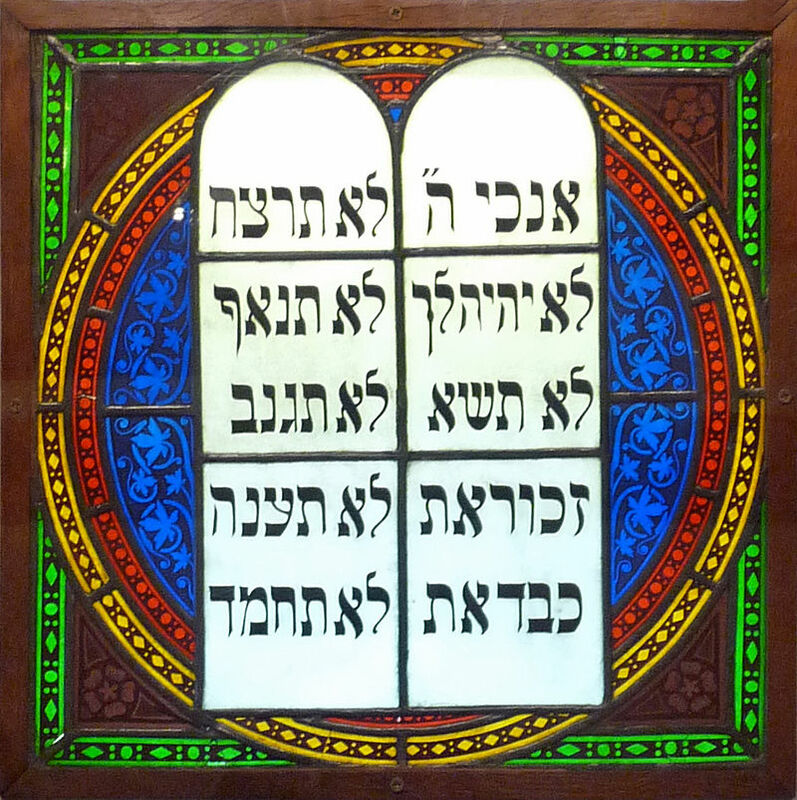 There are many similar commandments as well, but they are in two separate systems. If we do not kill or steal, this is not because of the Law of Moses but because of the Law of Christ. Conversely, if I do steal, I am not guilty of breaking the Law of Moses but the Law of Christ. For believers, this understanding can resolve many issues – such as women wearing pants, the Sabbath, and tithing. As the commandments concerning these things are based on the Law of Moses, then they have no validity for the New Testament believer. The Law of Christ is now the rule of life for the individual New Testament believer. What we are saying is that the believer in Yeshua Hamashiach is free from the necessity of keeping any commandment of the Law of Moses. But it is crucial to note that he is also free to keep parts of the Mosaic Law if he so desires. The biblical basis for this freedom to keep the Law is evident in the actions of Paul, the greatest exponent of freedom from the Law. His vow in Acts 18:18 is based on Numbers 6:2, 5, 9 and 18. His desire to be in Jerusalem for Pentecost in Acts 20:16 is based on Deuteronomy 16:16. The strongest example is Acts 21:17-26, where we see Paul himself keeping the Law. So, if a Jewish believer feels the need to refrain from eating pork, for example, he is free to do so. The same is true for all the other commandments. However, there are two dangers that must be avoided by the Messianic Jew who chooses to keep portions of the Law of Moses: One is the belief that one who does so is contributing to his own justification and sanctification. This is false and must be avoided. The second danger is that one may demand or expect others to also keep the Law. This is equally wrong and borders on legalism. The one who exercises his freedom to keep the Law must recognize and respect another’s freedom not to do the same. What did you think of the final argument? Does this clarification help you understand the old law better? Did you disagree with anything? Why? Feel free to comment below! I guess I don’t disagree with Dr. Brown in the audio you provided (like usual), nor do I think his view that he gave is contrary to the view I presented.